The lawyers at Wallin & Klarich want to share some common questions we have received regarding California’s approach to receiving stolen property. Our attorneys have answered a few frequently asked questions regarding a receiving stolen property charge in California under Penal Code 496 PC. Is receiving stolen property considered a felony or misdemeanor offense in California? It depends. In California case law the crime of receiving stolen property is what’s known as a “wobbler” which means it can be charged as either a felony or misdemeanor depending on the circumstances of your individual case. One of the most important factors the prosecution will consider when charging this offense is the value of the stolen property you were alleged to have received. If the value of the property does not exceed $950, the prosecution will charge it as a misdemeanor, and if convicted, you face imprisonment in county jail for up to a year. However if the value of the property exceeds $950, the offense will likely be charged as a felony receiving stolen property, punishable by up to three years in county jail. If you did not have direct knowledge that the item was stolen, you did not violate Penal Code 496 PC receiving stolen property. property was stolen. The most persuasive form of evidence to prove that you had this knowledge is called direct evidence. An example of direct evidence in a receiving stolen property case would be when you admit or confess to the police that you knew the property was stolen at the time you acquired it. Another form of evidence the prosecution can use to show this knowledge is called circumstantial evidence. Circumstantial evidence relies heavily on drawing inferences from your behavior or the facts surrounding your acquisition of the property that suggest you knew or reasonably should have known that the property was stolen. For example: serial numbers being removed from the item or purchasing the property for substantially less than its market value is circumstantial evidence that you knew or should have known that the property was stolen. Is returning the property to the rightful owner considered a defense to receiving stolen property charges? Your best defense in this situation is known as the innocent intent defense. This defense usually arises under circumstances where you received stolen property and intended to return the property to the rightful owner or the police. The crucial inquiry is at what point did you form this intent? If your original intent prior to or at the time you became in possession of the stolen property was to return it to the rightful owner, then the innocent intent defense can relieve you of all criminal liability. However if you originally took possession of stolen property with the intent of returning it to the owner, but then decide to keep it or sell it for you own benefit, this defense will not apply. In addition, if you formed the intent to return the property only after you became in possession of it, you can still be convicted of receiving stolen property so long as you knew it was considered stolen at the time you acquired it. No. Although the prosecution can charge you with both crimes, California Penal Code section 496(a) states that you can only be convicted of one of these offenses related to the same item of property. For example: You are charged with both theft and receiving stolen property related to your acquisition of a stolen DVD player that recently came in your possession. The prosecution will attempt to prove that you actually stole the DVD player in question and that is how it came into your possession. If this doesn’t work, the prosecution will try and prove that although you didn’t personally steal the DVD player, you nonetheless knew that it was stolen at the time you acquired it. Depending on the facts and what the prosecution can prove to the jury, you can be convicted of either theft of the DVD player or receiving stolen property, but not both. By retaining an experienced criminal defense attorney, you greatly improve your chances of winning your case. Prior to trial, your attorney may negotiate with the prosecution to have your receiving stolen property charge reduced to a misdemeanor rather than a felony. If there is not enough credible evidence backing the charges brought against you, your attorney can fight to have the charges dismissed in their entirety. If you are forced to go to trial, your lawyer can point out weaknesses in the prosecution’s case and show the jury that there is simply not enough evidence to convict you of this crime. Contact a knowledgeable defense attorney at Wallin & Klarich to learn more about how we can help you with your receiving stolen property case. 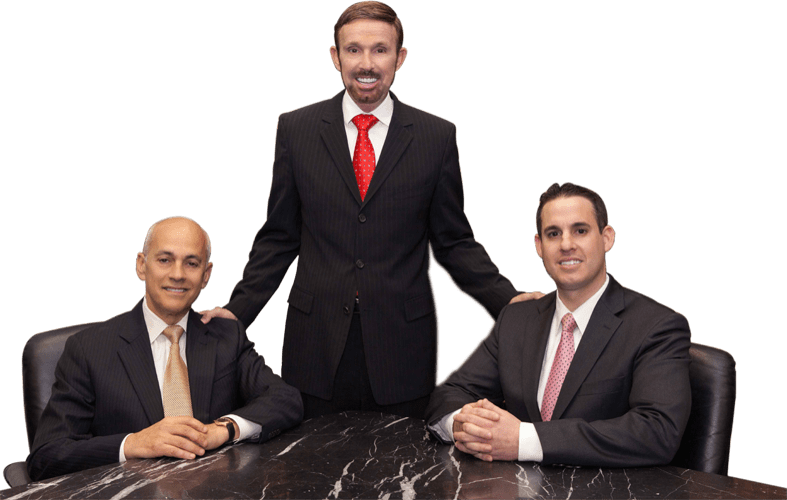 Wallin & Klarich has over 30 years of experience in successfully representing Southern California residents who have been charged with receiving stolen property. Drawing from extensive years of experience, we are available to answer any questions you have and are willing to go the extra mile in your defense. If you are facing prosecution for receiving stolen property, call our talented and professional defense attorneys today at (877) 4-NO-JAIL or (877) 466-5245.